Situated on a river, this bed & breakfast is 15.1 mi (24.3 km) from Mebbin National Park and 23.1 mi (37.2 km) from Fingal Lighthouse. 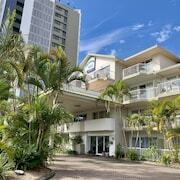 Location.Walk to supermarkets, eateries, beach access. We stayed in a 3 bedroom apartment. 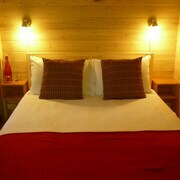 Perfect location, right opposite the beach with restaurants, shops and 7 Eleven downstairs within short walk. Lovely layout of the apartment with beautiful view. the 3 bedroom apartment do come with 2 parking spaces (although spaces are tight, it's not an issue). Kitchen amenities were adequate (No BBQ). Which hotels are closest to the Murwillumbah airport? 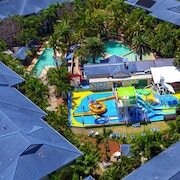 Where to stay near top Murwillumbah attractions? 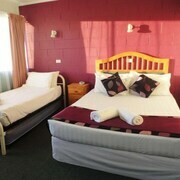 What kind of hotels are in Murwillumbah? 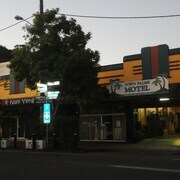 Which hotel chains are in Murwillumbah? Visitors to Murwillumbah are sure to enjoy the coffeehouses. 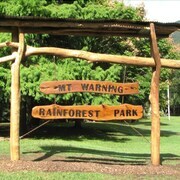 Tourists can also enjoy the city's rainforests and zoo. The city's cultural venues include Tweed River Regional Art Gallery and Tweed Regional Gallery & Margaret Olley Art Centre. 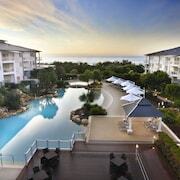 A couple of additional sights to add to your agenda are Tweed Regional Aquatic Centre and Tropical Fruit World. Poinciana Motel - This 3-star motel features free WiFi, free parking, and a business center. 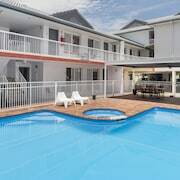 Econo Lodge Murwillumbah - With a stay at this 3.5-star motel, guests can enjoy access to an outdoor pool and free parking, along with free WiFi. Expedia customers like its helpful staff and clean rooms. Known for being walkable and family-friendly, Murwillumbah is a relaxing neighbourhood, offering convenient options for restaurants, bars, and cafés. Part of the neighbourhood's charm is its friendly people. 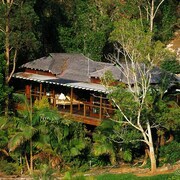 Many visitors come to bask in its beautiful outdoor settings, namely the sea, beaches, and jungle. 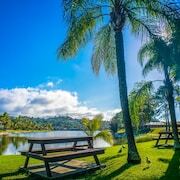 Start by booking your hotel in Murwillumbah, and then enjoy the sights in the greater Murwillumbah area. Sights like Tweed River Regional Art Gallery, Tweed Regional Gallery & Margaret Olley Art Centre, and Surf World Gold Coast offer insight into the local culture. 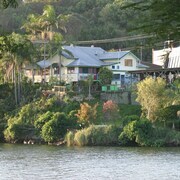 Tropical Fruit World, Best Of All Lookout, and Canyon Lookout are some local landmarks. Be sure to get some family photos at Crystal Creek Miniatures, Tropical Fruit World, and Currumbin Wildlife Sanctuary. Popular activities in the area include shopping, surfing, and whale watching. Dip your toes in the water and soak up the sun at Bilinga Beach, Kirra Beach, and Tugun Beach. You can take some time to enjoy the outdoors at Mount Warning National Park, Currumbin Rock Pools, and Springbrook National Park. A shopping trip to Centro Tweed and The Strand might be just what you need for some retail therapy. 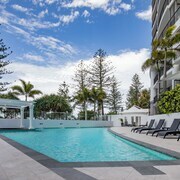 You won't be disappointed visiting other sights like Tweed Regional Aquatic Centre, Ilnam Winery, or Coolangatta and Tweed Heads Golf Club. Don't pass up a chance to see Bilbrough Falls, Springbrook National Park Natural Bridge Section, and Purling Brook Falls. You can also visit Springbrook Research Observatory, Kingscliff War Memorial, and North Byron Parklands. 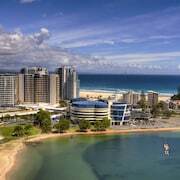 Gold Coast, QLD (OOL-Coolangatta) is the closest major airport, 22.1 km (13.7 miles) from Murwillumbah. 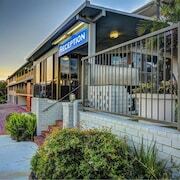 What are the most popular hotels in Murwillumbah? 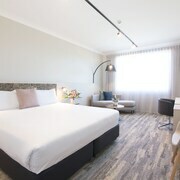 Are there hotels in cities near Murwillumbah? 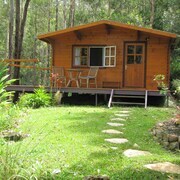 Explore Murwillumbah with Expedia.com.au’s Travel Guides to find the best flights, cars, holiday packages and more!